Andrew Hacker’s The Math Myth is a great example of mathematics illiteracy. 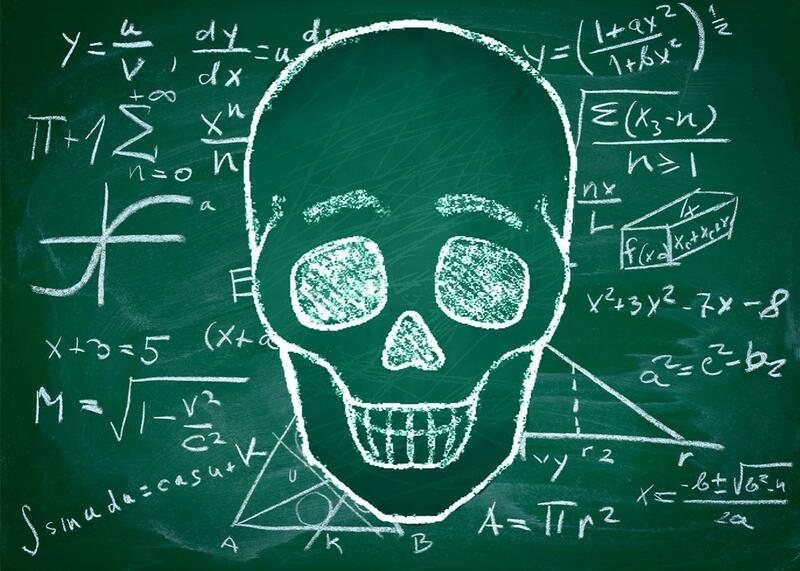 Andrew Hacker argues that abstract math is scary, damaging, and should be optional in American education. He should check his calculations. In his new book The Math Myth: And Other STEM Delusions, Andrew Hacker lays out a bold case for substantially changing the instruction of mathematics. Hacker’s thesis is that too many students drop out of high school and college because they fail math classes, a problem he would solve by removing such obstructions from high schools’ required curricula and providing students with more options for math classes he deems relevant. These would include courses that emphasize numeracy—a facility with numbers and arithmetic as they generally show up in everyday life—and “citizen statistics,” an ability to understand and contextualize figures that appear in media and politics. Hacker’s conclusions aren’t entirely without merit. Math education fails many students for a variety of reasons: high-stakes testing under time pressure, focus on rote calculation rather than imagination and reasoning, inane word problems that fail to show the relevance of mathematics to the real world, and, yes, a failure to expose students to statistics earlier and more effectively. Like Hacker, I am skeptical of doom-and-gloom warnings about the U.S. running out of skilled engineers and scientists, and I think it would be wonderful if we stopped making high school math a straight line to calculus. And who can argue with taking a closer look at whether the mathematics requirements to get into medical or actuarial school are reasonable? But Hacker’s book has so many problems in both substance and form that it’s hard to take his thesis seriously. I kept track of errors, unreferenced claims, and misleading arguments as I read The Math Myth, and I found so many that I’m halfway tempted to publish an annotated edition of the book. (I’m not the only one frustrated by Hacker’s many specious arguments. Mathematician Keith Devlin and math and statistics teacher Amy Hogan, among others, have written posts pointing out other flaws in his arguments and conclusions.) Ironically, many of his arguments would make excellent examples for a John Allen Paulos–style book about mathematical illiteracy. I am a mathematician, thinking about math brings me great joy, and I want more people to have joyful experiences with mathematics. Of course I think many of Hacker’s conclusions are incorrect. Most troubling to me is the idea that mathematics is important only insofar as we use it in our careers, and therefore anyone whose job path doesn’t involve math shouldn’t have to take math classes beyond basic numeracy. Education isn’t valuable simply because we use it in our jobs. Literature, music, and art enrich our lives and nourish our spirits. History and political science can make us more informed citizens. Science can help us understand why research is rarely conclusive. I reject Hacker’s idea that mathematics doesn’t help us understand other areas of life and enhance our experience of the world. In her recent Slate piece on Hacker’s book, Dana Goldstein described how her husband sees concepts such as derivatives as connecting the concrete to the abstract, of helping us understand the world. He’s right. But even if math is only useful for our jobs, few high schoolers know what job they will eventually have. (I wanted to be a herpetologist. And president. And a professional musician. And a biomedical researcher. And a priest.) How can they know exactly what math topics to learn? Fourteen-year-olds who choose not to take algebra II are limiting their future career options, or at least making it much more difficult to catch up if they decide in college that they want to be engineers. It’s impossible for every student to take every class that might help them in the future, but foundational math classes keep doors open. I’m also nervous that letting children opt out of the more abstract math classes so early will reinforce society’s biases about who can do math, which already do a lot of damage by keeping some groups of people underrepresented in mathematics. If math is seen as something boys are better at than girls (despite evidence to the contrary), I worry that some girls will pre-emptively self-select out of classes like algebra II, making it less likely that we’ll see parity in STEM careers anytime soon. As much as the content of his conclusions, though, the arguments Hacker uses to reach them are disingenuous. Over and over again, he relies on the reader’s ignorance or fear of mathematics to make mathematics education sound scarier than it is. These repeated misunderstandings and misrepresentations undermine his credibility. I know much more about math than I do about pedagogy, policy, and other topics he addresses. If a huge amount of what he says about math is incorrect or misleading, why should I trust him on the other subjects? Throughout the book, Hacker uses jargon to make math topics sound more intimidating. Students, he laments, are asked to master “associative properties.” It sends shivers down the spine … unless you know that the associative property of addition is the one that says 5+1+3=6+3=5+4—that is, it doesn’t matter whether you add the first two numbers together and then the third or the last two and then the first. This is a basic property of addition that most students should learn in elementary school. Then there’s the word linear. A linear, or straight-line, relationship is practically the simplest relationship two variables can have. A change in one variable leads to a proportional change in another. Linear is basically math-speak for simple and easy to solve. Later, he uses the word linear to scare us: “a course in linear and quadratic equations” and “linear inequalities” are supposed to demonstrate how out-of-touch math education is with real-world requirements. The thing is, the reasoning behind the multiplication and division he uses in his muffin recipe is a linear equation. The equation 20x=35y, or x=35y/20, might look intimidating, but it’s an algebraic way to represent the amount of flour (x) needed to make a certain number (y) of muffins. When he wants to use the idea of a linear relationship as an example of the kind of numeracy that is necessary for everyone, it is simply basic algebra; when it is an example of out-of-control math education, it is a linear equation. Hacker is pandering to many people’s aversion to mathematics, and it’s dishonest and insulting. Then there are the outright errors, as in this problem Hacker uses as an example of a question he has given to his numeracy classes. Yes, it’s a word problem. Bear with me. (a) 7.366 gallons (b) 8.839 gallons (c) 170,156 gallons. I puzzled over this paragraph when I first read it. I wasn’t using a calculator, and I’m not terribly swift at mental arithmetic, but I knew something was off. Forgetting to convert feet to inches should lead to an answer that is off by a factor of 12, but 7.366 is quite close to 8.839. The decoy answer should be 0.7366 gallons, not 7.366. It’s a simple case of a missing decimal point. It’s an easy mistake to make, and in Hacker’s defense, it seems the original question also listed the “wrong” incorrect answer. Still, his number sense should have been tingling. After all, one of the goals of the numeracy education he advocates is to be able to eyeball a number and see if it seems reasonable. Am I nitpicking? Yes—and I normally wouldn’t jump on someone for making minor arithmetic mistakes. (I make plenty myself.) But it’s fair game for an author who holds out his approach to numeracy as an example other schools should adopt. He should have picked up on the error. Hacker writes, “these SAT figures suggest that literary proficiency is more likely to be accompanied by mathematics achievement than the other way around.” Sure, but only insofar as they “suggest” that more people score a 700-plus on the math section than on the critical-reading section. He’s putting the same numerator—people who got a 700 or higher on both sections—on top of two different denominators—people who got a 700-plus on math and people who got a 700-plus on critical reasoning—and acting like it is meaningful that he gets two different numbers. Let’s say very few people took the SAT this year, and only 100 people got a 700-plus on the math portion. Based on Hacker’s numbers, 36 of them also got a 700-plus on the critical-reading portion. I can use a linear equation if I want to be fancy (basic multiplication and division if I want to be down-to-earth) to see that there must have been 82 people who got a 700-plus on the critical-reading section. This surely says something about the SAT—namely, the math portion of the test is easier than the critical-reading portion for many students—but it’s a silly way to try to make a point about whether mathematics helps students understand other subjects. And if Hacker actually understands anything about statistics, it’s deliberately misleading. One of Hacker’s soapboxes is that even jobs that use math really don’t use as much as we think. For example, he writes that the mathematical requirements on the actuarial exam “aren’t on the tests to ensure actuarial competence. Rather, they’re included as part of an effort to raise the profession’s stature.” The topics he cites as evidence are Gaussian distributions, Markov chains, Brownian motion, and Chapman-Kolmogorov equations. That sure sounds like a scary pile of terminology, but what does it mean? The Gaussian distribution he invokes is also called a normal distribution, or a bell curve. You’ve probably seen a picture of it—it’s the natural curve many variables (height, weight, IQ, etc.) take when you plot them. Someone who thinks “citizen statistics” is important should want everyone to be familiar with this curve, whether they call it the Gaussian distribution or not. Actuaries, who deal with statistics in large populations on a regular basis, certainly use this topic in their work. Hacker is either clueless about how actuaries use math, in which case he should not be using them as an example in his book, or he is once again deliberately using people’s discomfort with technical terms to make mathematics requirements sound unreasonable. Taken individually, each of these examples might seem like an insignificant misstep, but the book is littered with them. I almost hope they’re Easter eggs for numerate people and that Hacker has a secret agenda of improving math education to the point that everyone can recognize that his arguments are full of crap. Where does that leave us? Few mathematicians or educators would argue that the math curriculum is perfect or perfectly taught. Hacker is not the first to recognize or call attention to the problem; there are thousands of talented and passionate math teachers working to address the math phobia that permeates our culture and gets handed down from generation to generation, teachers working to make their classrooms places where students will see the utility, beauty, and fun of doing mathematics. Of course we should work to make mathematics education better. But while we consider the options, we shouldn’t let our emotional reactions to math terminology lead us to accept shoddy arguments from Hacker or anyone else.